Thanks to the know-how acquired in over 35 years of history, Faro studies, designs and manufactures its products based on the specifications requested by the customer, therefore represents an effective alternative for users and manufacturers who are not able to find, among the standard products offered from the market, solutions to their technical needs. FARO products are designed to the highest quality standards. Faro, present for over 35 years on the precision bearing market has recently increased its production capacity, now reaching 6000 mm in outer diameter, thus offering to a greater number of customers, the possibility of using high-precision bearings, entirely designed by our technical staff and produced in Italy, with extremely reduced deliveries even for a special bearing design. 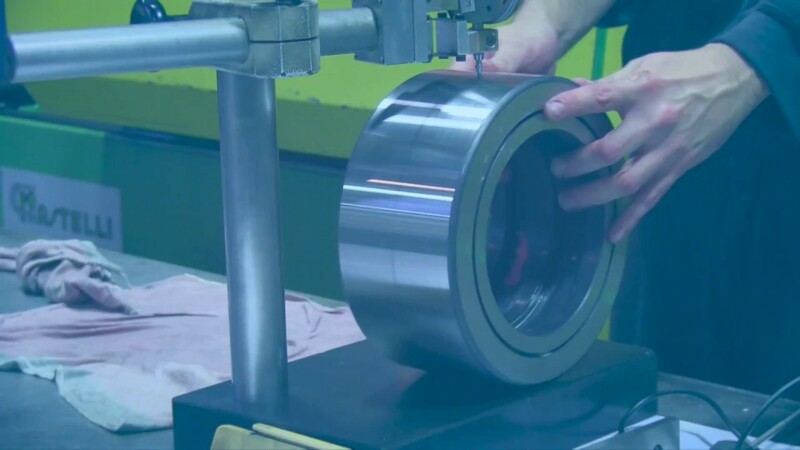 The quality of our products is guaranteed by the use of first quality materials and components, accompanied by relevant certificates of origin and warranty, and the processes controlled by an advanced metrology laboratory, carried out with high quality equipment, optimized for our type of production. Over 50% of our production is exported all over the world for primary manufacturers and in users several sectors, such as iron and steel, wire processing, machine tools, Paper Converting, Material Handling, Railways and others. Collaborating with customers who are not able to find a solution to their technical problems with the standard products available on the market, we have developed many times winning application solutions.